Lil Sprouts Book Club: Apples, Apples Everywhere! Did you know that September is National apple month? What better way to welcome in fall than by learning a little more about the seasons of an apple tree and a purpose for all of those yummy apples. 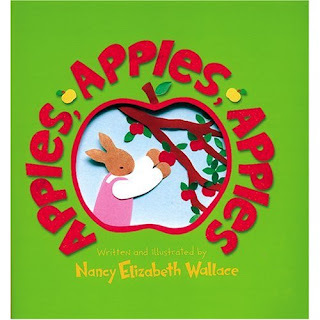 Apples, Apples, Apples by Nancy Elizabeth Wallace is one of my favorite books for the classroom. It follows a family as they take a trip to a local apple orchard. 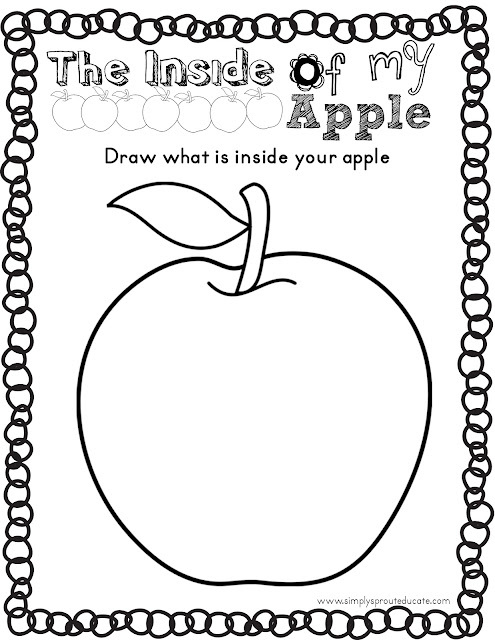 It talks about how to pick apples, the different parts of an apple and even includes a secret apple recipe in the back. We took out daughter Kaitlyn apple picking when she was 2, she had a lot of fun with it. She was amazed that you could walk right up to a tree and get food. This trip helped her to make the connections that food comes from the Earth and not just the store. It also opened up a discussion to start talking about living things and what they need to grow. So if an apple orchard is close by take the opportunity to go take a visit with your class or you children. Bring a few apples home and have some fun. After reading our book we decided to taste 4 different types of apples and compare them. Kaitlyn decided she liked the red ones the best! Little man liked them all, he just kept eating and eating. We didn't let our apples go to waste, after tasting them we used the other halves to take a closer look at and examine the parts of an apple. You can use the freebie below to help your little ones label and identify the parts of an apple. For a fun art project let your kids paint with apples using them like stamps on their paper. We took it a step further and placed apple prints onto burlap to make a cute fall banner for our mantle. This is a fun and easy project that won't take long, just purchase a half yard of burlap from your craft store. Cut into small rectangles about 12inX 6in. Fold in half and then cut from the corner to the center. Put some red or green paint onto a paper plate and have your little one dip their half of an apple in. Apply to the center of the burlap, use a wine cork to add some colorful polka dots. Last use some black paint (I like t-shirt paint because it comes with a fine tip and doesn't require a brush) add seeds and a stem. Attach banners together with ribbon and you are ready to hang. The apple cinnamon Glade plug in is in the wall, the apple banner is hung and we have some homemade applesauce cooking on the stove....now all we are waiting for is Fall to arrive! 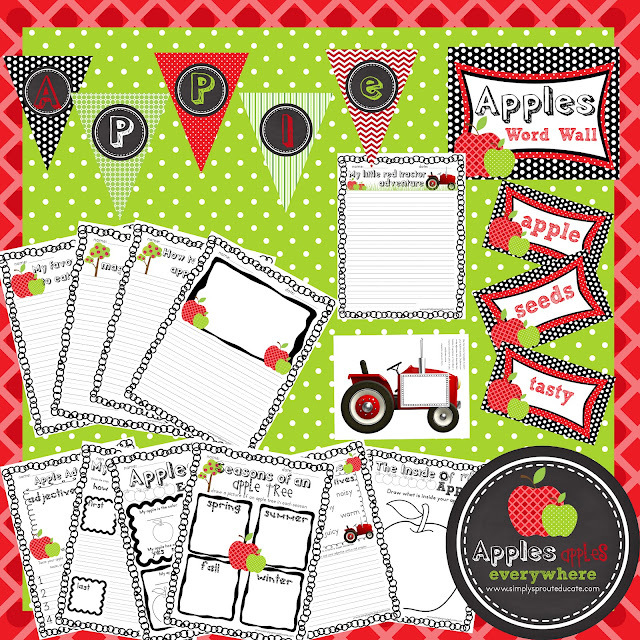 If you are looking for some fun apple activities for your students, look no further we have some great classroom resources available in our shop so head on over and take a look! We are being featured at Tatertots & Jello for their weekend wrap-up party! What lovely fall ideas, Marcy! Thanks for sharing them at Manic Monday. Thanks for your sweet comment! Please join us as a follower to be the first to receive our latest updates. We're Ready For Some Football!